Do Cars Matter In Our Cities? Cool cars are about the uniqueness and good design you find part of your high street shopping trip. Next to customers and shops and fashion – not like a shopping centre carpark – cool cars become part of the mainstreet experience. 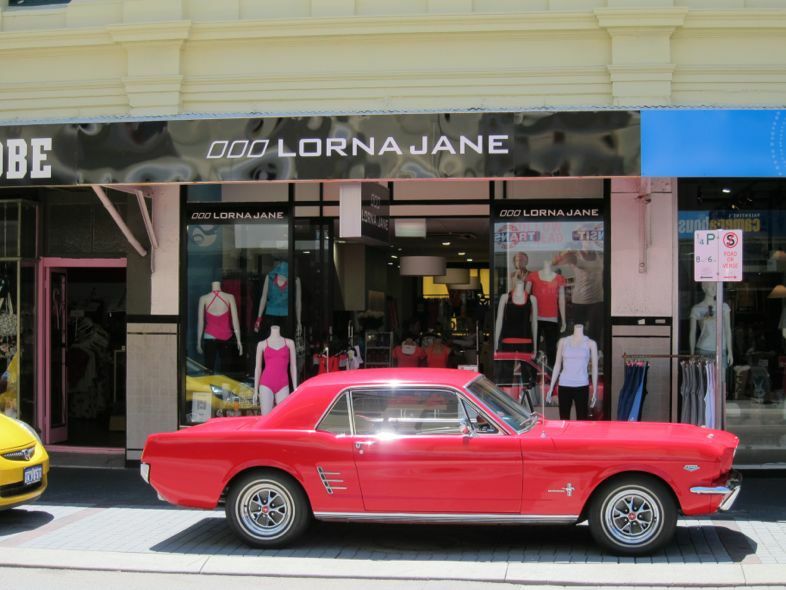 Red Mustang at Lorna Jane, a business I put into 56 Market Street, Fremantle, Australia in 2010.